LEVELTRACK – The smart solution to all your tank level monitoring requirements. Suitable for AdBlue, Diesel, Oil & Coolant. Module with modem and digital level display & pressure depth probe. 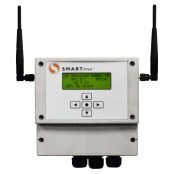 Features & benefits: easy to retrofit, digital display for local tank contents, web based system – monitor via log-in, email alerts can be set for low or high levels, 240V powered (battery or solar panel option available) & can handle up to 4 tanks.